The 113th Us Open Golf Championship will get underway officialy on 13th June 2013 in USA in what will be the shortest US Open layout in more than 10 years. Quite a few players have already visited the course just before the start of the event and with the likes of Tiger Woods who will be going into the event as hot favourite to win US Open, he has already been in the course analysing the layout and his strategies starting from the hole 1. Like we mentioned before this is the shortes layout for a Us open golf event in the recent years and crowd expectation are around 180,000-190,000 visitors which is a 25% lower than the recent US Open events in USA, last one saw total of about 230,000 visitors and it will be interesting to see how this event pans out. 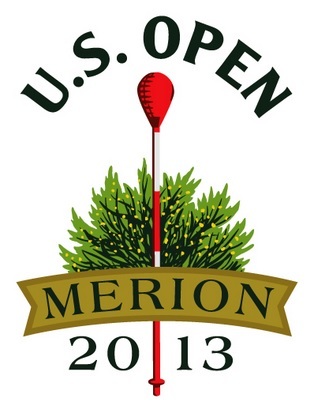 Merion course was choosing to be the host for the US open 2013 last year and although the capasity is lower than the previous US Open events but administrators are hoping that the quality of course will make the experience better in many ways. One thing all Golf fans know is that US Open is the most hardest open to win, as it has been designed in a way that it will challenge the players abilities to the limit. Former US Open champions Webb Simpson analysis of the course were pretty spot on, according to him that players should take Marion as two different courses, they have to drive well at the start while this course kind of make the height advantage very much event and tall players wont have that extra advantage over the smaller one. Tiger Woods and Rory McIlroy are on by far the best odds to win the competition but there are quite a few names which we can not just ignore, starting with Rickie Fowler who is 60/1 on odds to be winner at US Open, he is the best potential unfulfilled and people are still waiting on him to be successfull in some major event, finishing 5th in last years British open was his best finish to day, if there was one dark horse it is him for the US Open. Thorbjorn Olesen is another player who has all the odds against him at the US Open majors, a young and ever improving golf player who at 23 this year, finished 9th at the British Open and 27th at the PGA Championship last year and he is the one to look out for. Tiger Woods, Matt Kuchar and Matteo Manassero are the three players who are heading to the US Open 2013 pretty much in form, Woods have been part of 8 Golf events this season and 5 of them he finished in top 5 and has won 4 events already, while Matt Kuchar has won twice and quite a few top 10.